My dh is doing well. It's hard to believe it's already been a week since the incident. I have been up and down emotionally today. I've been a little grouchy because it's hard taking care of 2 kids and a big kid. But I was glad to get some stitching time in. 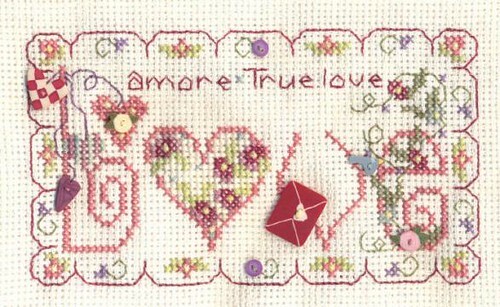 To take a quote from Diane at Sampler Cove "I get so cross when I don't stitch." That's so true for me!! :) Well, that's all for now. I'd better get some sleep because hubby has a doctor appt. tomorrow morning.